You may have heard Jam Baxter’s ‘Mask’ featuring Rag’n’Bone Man & OG Rootz premiered by Dj Target’s show on BBC 1Xtra earlier this week, but nothing can prepare you for the audio visual experience on offer in the official music video, directed by Broken Antenna. 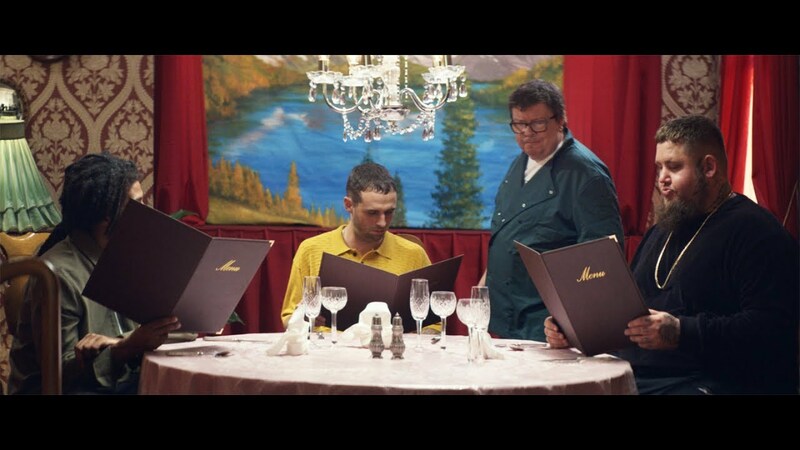 Join Jam Baxter, Rag’n’Bone Man & OG Rootz as they link up for a sit down meal in one of London’s most prestigious and off key restaurants. 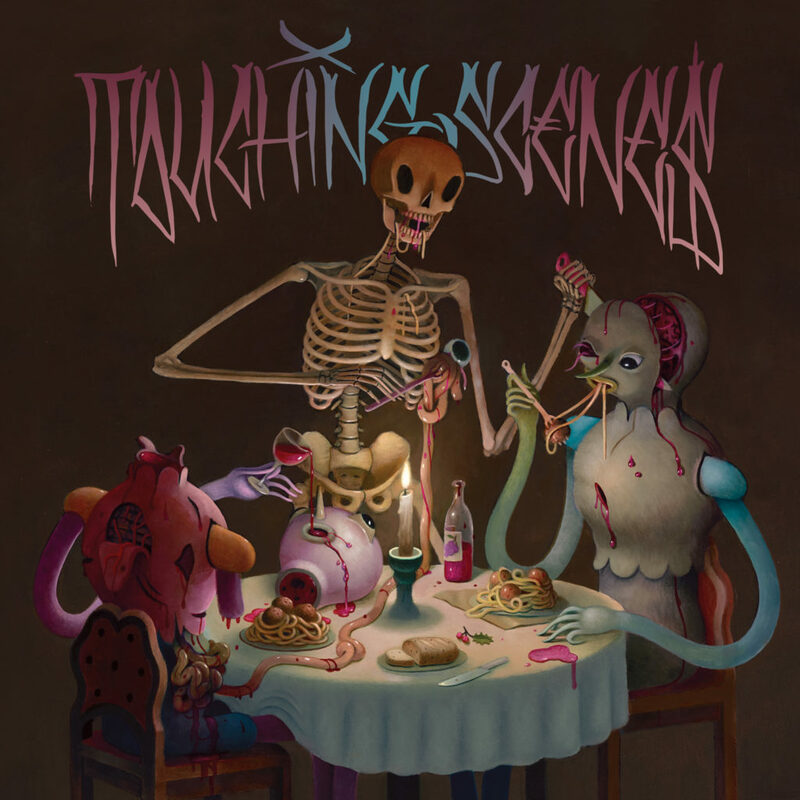 Widely regarded as one of the most gifted writers in the UK, Jam Baxter releases new album ‘Touching Scenes’ alongside the single via High Focus Records today. Treating us to 16 tracks of some of his most polished and accomplished work to date, a fully-fledged audio visual experience – a psychedelic opus. A Touching Scene. Whether it is the incredible avant garde production, or the all-encompassing scenic vocals. Nothing comes out of this experience unscathed. Tears of joy guaranteed. Similarly to his previous record, the slightly slurred and and debauched ‘Mansion 38’, Jam Baxter recorded this new body of work in the tropical settings of Bangkok, Thailand, with long-time collaborator and audio landscapist, Chemo. However, this time around, the pair has enlisted the capable hands of GhostTown, Sumgii, Last Japan & Sam Zircon to contribute to the colour palette of this more refined body of work, allowing the project to stand alone sonically as a more evolved sequel to its low tempo predecessor. The album blurs the conventional genre lines of hip hop and grime in its production, with lyrical influences ranging from William S. Burroughs to Young Thug. There are a multitude of sumptuous flavours in this finely woven package that cater to every conceivable taste bud – perhaps making this LP Jam Baxter’s most complete and polished effort to date. Jam Baxter is joined on this journey by a very carefully selected & varied set of vocalists; who all bring their unique vista to the project, further enriching the tapestry. From modern day super star Rag’n’Bone Man, to the ingenious Kate Tempest, to Grime pioneer OG Rootz (FKA Durrty Goodz), to underground sensation Stinkin Slumrok as well as up & coming singer Rhi – there is a representative from every facet of the fragmented UK scene all coming together to add to the poignancy of the Touching Scene.